I love #4 "moss trail." Love #4. Green is my favorite. I love the moss birdseye! So cute! My favorite design is moss trail. Beautiful! Wow! I love the Charcoal River! These pillows are gorgeous!! I love #5, Charcoal River. love silver trail! so pretty! These are awesome! This is just what I have been looking for! Definitely number four, the Moss Trail, it's amazing! I would love the Sienna River (#6)! I love the silver trail pillows. I have my eye on their "fern" bedding in the amber color and these pillows would look great with that bedding in my guest room. Lusting.. I love the charcoal birdseye! so pretty! i love them all! i would go with #1. These pillows are terrific! I'd love to win some in Charcoal Birdseye. oh me oh my, choices choices...love the moss trail though best so I am putting in for that one! how nice of you (and them!) so do a giveaway! I love #4 - perfect for the living room!! Oooh beautiful pillows! I'm torn between #2 and #3. Moss trail is definitely my fav! these are so lovely. my favorite is the last one. I'm hooked on rich browns and grey. I love the moss trail. Very beautiful! Sienna(#6) Would look perfect on my couch! These are beautiful! I have admired Amenity for a while now. I am entering for the Silver Trail set! 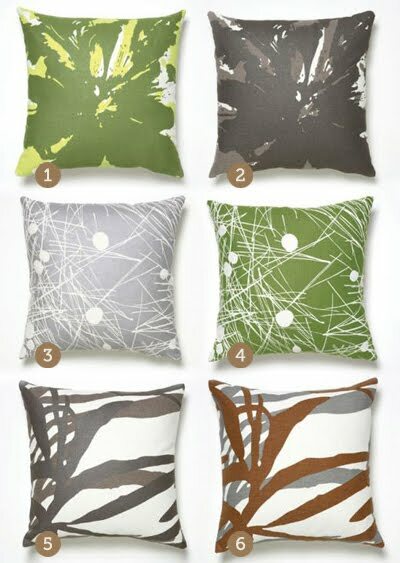 I LOVE the Moss Trail pillows. They would go perfectly in our den re-design! Silver trail is awesome! Thanks for the chance! silver trail is my fav! Oh I adore this pillows! OMG I love number 4!! Is so amazing!! LOVE Moss Birdseye! Also? Love Amenity Home!! GORGEOUS! I love the "mossy trail" that green is my absolute favorite! The Charcoal River set would be perfect in my living room. Thanks for the great giveaway! I like the Charcoal Birdseye, but they are all awesome. I loooove #5 Charcoal River. So beautiful!! These are great! I love all of them but especially the green ones. I love the moss trail. Thanks! Oh gracious. The green pillow is EXACTLY what I've been looking for for my bedroom. Dude, I hope I win. I love silver trail, #3, they're all so pretty! Beautiful! I love number four! "Sienna River" will feel more comfortable against my head than a rolled up snuggle blanket when I am sent to sleep on the couch!! Moss trail is my favorite, but they are all beautiful. I love 4 and 6! It's a hard decision!! Pick my number!!! I need pillows. We moved in to a new home. Way bigger, with two guest bedrooms... and right now they're dull. So, please, pick me! ; ) I love the silver Trail pillow! Thanks for offering this give-a-way! Moss Trail would be my choice! I love the "moss trail" design, very spring-like! #3 would look perfect on my bed. Pick me! i love #5 (charcoal river)!! It was really hard to pick a favorite, they are all beautiful! My favorite is the Charcoal Birdseye. I would be in HEAVEN if I could have one of those bedroom sets! tough choice. but i love silver trail and charcoal river. Whoops, I was so caught up in the fantasy of the whole set that I forgot too say I love #5 best. Moss Trail's gotta be my fave... much like most people here! I love the Charcoal Trail print! Moss Trail is my favorite, and my couch cushions have about had it, so my fingers are crossed! 2)Charcoal Birdseye and 3)Silver Trail would be so perfect on my sofa! So pretty. these are lovely. love the silver trail! moss trail is definitely my favorite! Hooray for green! It's a toss up between #s 3 and 4 for me! Very simple and pretty. I like the moss trail! 4 & 1 \o/ green! I love #3 and 4, but if I had to choose just one I'd probably go with 4 (need more green with spring coming!). Love these pillows! Its hard to choose just one but I think I love the Moss Trail (4) the most! MOss Trail is my FAVE! The 2)Charcoal Birdseye is very funky and fun! all the designs are great but i like "silver trail" the best. Thanks Amenity Home! I love #3. So pretty! I'd go for the Charcoal River. It would look lovely in both my bed- and my livingroom. I think charcoal river would look great on my sofa. Thank you for the giveaway. I like #3!! These are awesome! 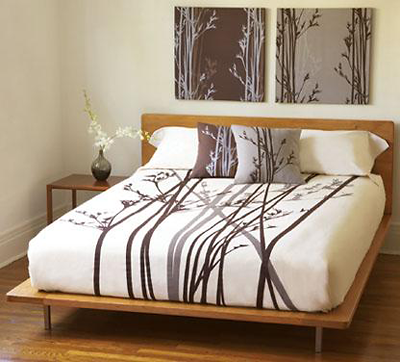 Silver trail would look gorgeous on my bed! :) Thanks for the giveaway! I love the moss trail! Lovely! Pretty! I think #4 would look best in my house. love moss trail! What beautiful pillows and the eco friendlyness! Amazing! Love them all! Love #5 (charcoal river)! Ooo I love Amenity. Pillow #2 is absolutely gorgeous. I like #1 and 4! Those are so pretty!! Love them all, but I think #6 is my favorite. I'd love to have these in my office! Number 5 Charcoal River is my Fav!!! love them! I'll take one of them all. #4 (Moss Trail) is gorgeous! So in love! those are all so beautiful. i think if i don't win them i may have to buy them instead. moss trail would be the one for me. thanks for showcasing them! These are fabulous. It was a hard choice but I would say "Silver Trail" is my favorite. The third!! Silver, I love ! The Moss Birdseye (#1) is my fav! I'd say I like "moss trail" the best. Bed spread it quite nice. Number 6 would go perfectly with the quilt my mother-in-theory-law made for our bed! I love them, all of them. But the two charcoal ones I love the most! These designs are awesome!!! They would go perfect in my living room :))) My favorite it #6 sienna river! love the charcoal birdseye! i've been needing something for my charcoal, beach, and red bedroom! I love them! Charcoal River is my favorite!!! I truly love #5, but 3 is an extremely close runner up. Just stunning! Moss trail pattern looks so calm and soothing. BTW, your blog is pretty awesome. I get lots of ideas from your postings. I could make any of them work, but I love the moss ones. They are all so pretty, but 2) Charcoal Birdseye is by far my fav.! Beautiful! AND eco-friendly! I love #5.